When a dog is prone to getting dry skin, nose and paws it can cause them distress. Sore paws affect mobility, itching leads to chewing at the affected area and cracking skin results in open cuts. The good news is that the best remedies for dogs dry skin are available to help with both the prevention and treatment of dry and itchy skin. No one likes dry, itchy skin – including our dogs. It's uncomfortable, and all you want to do is scratch. Well, your dog will feel the same way. Not only is the scratching annoying to you, it will also do a lot of damage to Fido's skin. There are many causes of dry skin. It may be something simple like dry, cold winter air. Unfortunately, dry skin, paws or nose could also be a symptom of an underlying medical condition like allergies or a poor diet. 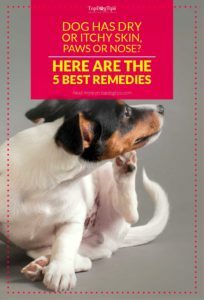 * Click on the best remedy for dogs dry skin for more information and prices, or scroll down below for more details. It's best to have your dog evaluated by a vet before treating any skin conditions. Once other medical conditions have been ruled out, you can use one of the best remedies for dogs dry skin to help soothe your uncomfortable pet. Snout Soother is an organic balm that can be used for the prevention and healing of dry, cracked and itchy paws, nose and skin. Blended from 100% natural nourishing, healing and moisturizing ingredients, this balm from the Natural Dog Company is non-toxic and suitable for vegans. Dog owners have been delighted with the results that they have seen with Snout Soother. It has resolved cases of hyperkeratosis – a painful condition that causes a severely dry and cracked nose. Many dog owners who have dogs that are prone to dry skin, nose or paws now use Snout Soother as a successful preventative skin care regime. There are a few reviews on the internet from owners who have not seen any improvement in their dog’s condition with Snout Soother by Natural Dog Company. In one case it caused a dog’s nose to turn yellow. Inevitably there are also some dogs that lick the balm off, but the same can be said about any of the best remedies for dogs dry skin. Snout Soother receives high acclaim online and very few negative reviews. If your dog is prone to itchy, dry skin then you don’t have a huge amount to loose from trying this product. Wild Alaskan Salmon Oil is a tasty liquid supplement made from 100% safe and natural ingredients. Loaded with omega-3 and omega-6 fatty acids, this supplement from My Pet Nose promotes all around health and longevity, supporting your dog to have a healthy skin, coat, joints, heart and immune system. As one of the best remedies for dogs dry skin, Wild Alaskan Salmon Oil has given extreme relief to dogs suffering from a variety of conditions. 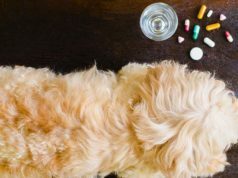 Pet owners have turned to this product in a last attempt to clear up severe allergies and itchy skin when antibiotics, steroids and antihistamines haven’t worked. The say their dog’s coat sheds less and is shiny. 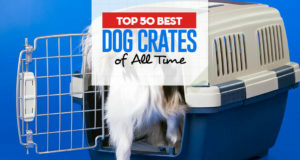 Owners of older dogs have seen an increase in their pet's energy and general condition. Although Wild Alaskan Salmon Oil Liquid Supplement by My Pet Nose is made from delicious salmon caught in Alaskan waters, not every dog and cat is a fan of the fishy flavor. Dogs with sensitive digestive systems can produce loose stools when using oil supplements too. All is not lost though, as this product comes with a money back guarantee. Wild Alaskan Salmon Oil is definitely a product worth trying whether you’re looking for a general health boost or treatment for persistent skin conditions. It might not be to your pet’s taste and he might get a case of the runs. In either case, My Pet Nose promises to give you your money back. Pyoderma is a fast acting antibacterial treatment for canine hotspots and skin wounds from Huma.ne. It works on contact to fight infection and stop the itching. Made from all natural ingredients such as tea tree oil and grape seed oil, this veterinary approved formula delivers amazing results. Hot spots are notoriously difficult to clear up. The constant itching can drive your dog mad enough to chew and scratch himself raw, creating further infection. Pyoderma can break this cycle. Its patented formula treats the source of infections and viruses by penetrating the outer layers of the skin. In doing so it also stops the itching for immediate relief. Pyoderma is alcohol-free, so it doesn’t sting. It’s also gentle enough to use on puppies. This is one of the best remedies for dogs dry skin, as it is noted as a bit of a miracle treatment according some of the dog owners that have tried it. Pyoderma – Anti-Itch Hot Spot Treatment for Dogs and Puppies has cleared hot spots and infections when medication couldn’t. Even very severe cases seem to be treatable with Pyoderma. But of course, Pyoderma isn’t a miracle treatment all of the time. Some dog owners found that there was no change in their pet’s condition following treatment. In some instances the owners felt that Pyoderma had aggravated the condition. Dog Healing Balm from Particular Paws is a quick and effective natural remedy for the prevention and treatment of cracked and irritated paws, nose and snout. Containing powerful non-toxic and natural ingredients this balm also has anti-fungal and anti-itch properties. It’s suitable for human use too! Dry, cracked skin can cause itchiness, fungal infections and pain that can lead to mobility issues for your dog. Particular Paws’ Dog Healing Balm provides immediate relief. Used regularly, it can heal dry paws and moisturize them to keep them healthy. Dog owners have found this product to be easy to apply and effective. It has not only healed their dog’s skin but promotes quick hair regrowth, too. There are no reports on the internet of Dog Healing Balm for Paws and Snout by Particular Paws causing any adverse reactions. There have been instances where it hasn’t had any effect however. 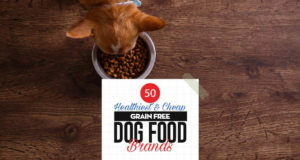 Particular Paws' claim that the formula is grease free has also been challenged by a few customers who found that their dog left greasy paw prints everywhere after. A few customers have also challenged Particular Paws’ claim that their formula is non-greasy, saying that it leaves greasy paw prints on floors. Any unsatisfied customer has the peace of mind of a money back guarantee, so it’s not all bad! There doesn’t seem to be a reason not to try Dog Healing Balm. Without any reported adverse reactions there is nothing to lose – literally nothing to lose as you’ll get your money back if you don't think this is one of the best remedies for dogs dry skin. ResQ Organics Pet Skin Treatment contains everything you need to heal your dog’s skin and promote hair regrowth. Whether your pooch has hot spots, mange, insect bites, wounds or another skin complaint, ResQ has the power to heal. ResQ is rich in nutrients from 100% natural sources. Manuka honey wards off fungal infections, bacteria and viruses; aloe vera soothes burning and itching; cehami reduces inflammation, pain and redness; and blue-green algae promotes cell repair. A blend of natural oils works in combination to promote healing from the inside out. And ResQ isn’t only good for your dog. A percentage of every ResQ purchase is donated to rescue centers across the country. ResQ Organics Pet Skin Treatment has lived up to its healing ability for many dogs. Dog owners report that it has acted quickly, soothed and healed cracks, prevented infection and promoted hair growth. For many, using ResQ is now part of their dog grooming routine. ResQ doesn’t work for all dogs however. It would be a miracle if it did. 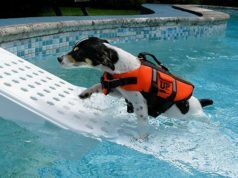 Some dogs have no significant response to the treatment and others lose hair or experience further skin irritation with use of ResQ. If your dog falls into either of these categories then you’ll want to use ResQ’s money back guarantee.